COLUMBUS, OH—Following allegations that the school’s head football coach knew about domestic abuse accusations made against a former assistant in 2015 and then lied that he didn’t, Ohio State University officials reportedly announced Thursday that Urban Meyer had been put on paid secret coaching leave. “We’re taking this investigation seriously, which is why Urban Meyer is being asked to stay away from the university in any professional capacity except developing game plans, making roster decisions, and otherwise overseeing every aspect of the football team through clandestine back channels,” said Ohio State athletic director Gene Smith, adding that Meyer agreed that training camp would be better served if he pretended to stay away from the team during the inquiry. 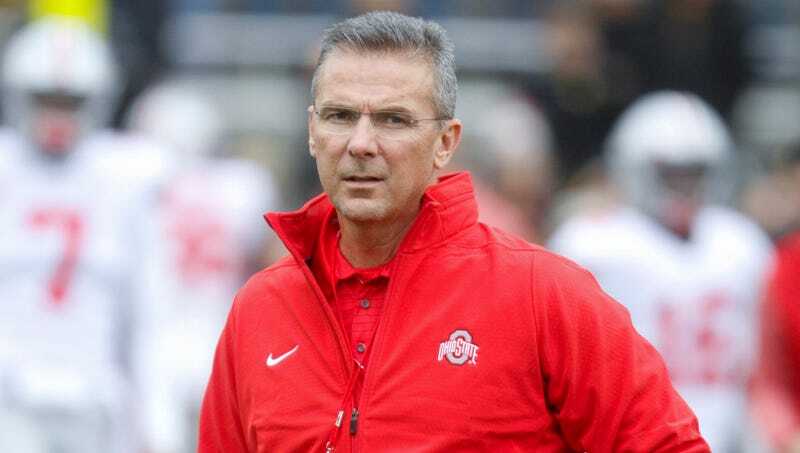 “These are extremely disturbing allegations, and it’s better for everyone involved if Coach Meyer isn’t performing any of his coaching duties publicly. He won’t be permitted on university property when cameras are present, and Ryan Day will purport to serve as acting head coach while he’s hiding somewhere during games feeding instructions to the staff.” Smith also stated that the investigation would end and Meyer could rejoin the team on the field as soon as evidence clearly indicated that the Buckeyes had lost even one game.